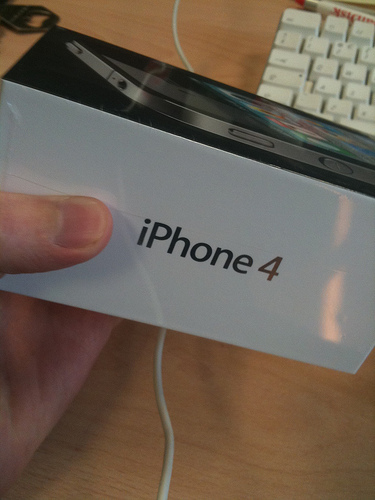 iPhone 4 Being Delivered a Day Early in the UK? 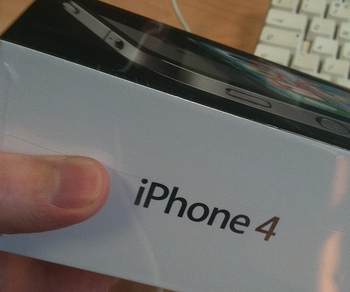 We saw it in the USA yesterday, now it appears lucky people who pre-odered an iPhone in the UK are starting to get their handsets delivered early. In a thread on the MacRumors forum, a user called ‘Mattwood’ claims he has received his handset today. Accompanied by the photo shown here, he told other forum users that the phone’s UPS tracking number showed up on the Apple site this morning, although it didn’t work on UPS’ own site. Despite expecting the delivery tomorrow, he took delivery this morning. Scepical forum users asked for more details. Although he wouldn’t answer which city he was in, he did post a picture of the rear of his phone in front of today’s BBC News website in its ad-free UK form. The user ‘Mattwood’ has certainly posted from a UK perspective in the past, lending credence to his claim. We can certainly understand why he’d prefer to spend some quality time with his phone rather than verify his claims online. If the story’s true, others who have preordered the phone could well be getting a knock on the door from someone in a UPS or TNT uniform this afternoon.